Apart from price affordability, one of the reasons my client opt to have NIVEA is because most of the NIVEA Whitening and Firming range is developed using 95% pure Vitamin C of 95% which help in repairing dull and uneven skin from sun exposure, while Q10 that can be found in every human cell functions as energy supply for skin cell but this decreases when we get older. My client decided to kickstart the new beauty regimen after she read a few beauty blogs on the Internet, and the only brand she trusted her life back then was NIVEA. She combined Q10 which is known for its anti-wrinkling, anti-oxidation and boosting cell energy to firm the skin, with whitening so that her skin becomes fair and firm with regular application. She also applied sunscreen to protect her from harmful UV. So, if you haven’t started to protect your skin then you should start now. If you feel that it’s too hassle to apply layers of lotions, here’s a product that you should give it a try. 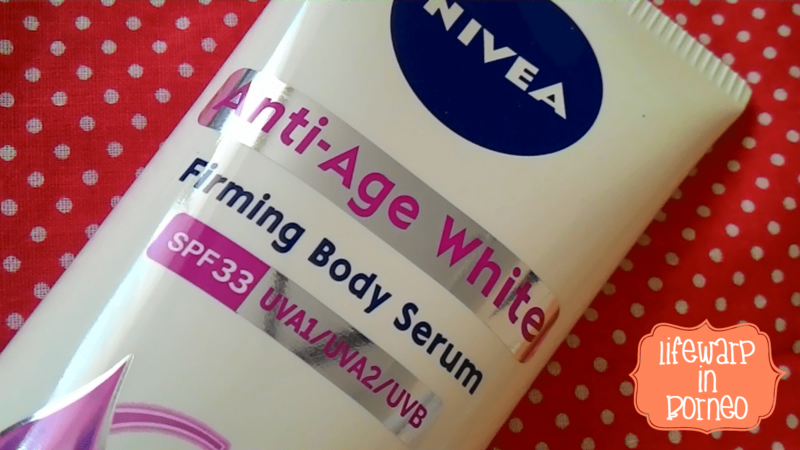 The latest NIVEA Anti-Age White Firming Body Serum SPF33 is developed for dull, damaged, and premature aged skin. The serum is rich with soy for fairer and younger skin, and Q10 that increase the energy supply for firmer skin. NIVEA Anti-Age White Firming Body Serum SPF33 is specially developed for dull damaged and premature aged skin caused by ageing and sun damage. The formula contains 95% pure Vitamin C as well as Q10 and soy essence. With extra light and non-sticky serum texture, it penetrates into your skin instantly to help make skin fairer and also help repair 10 signs of dull damaged skin. 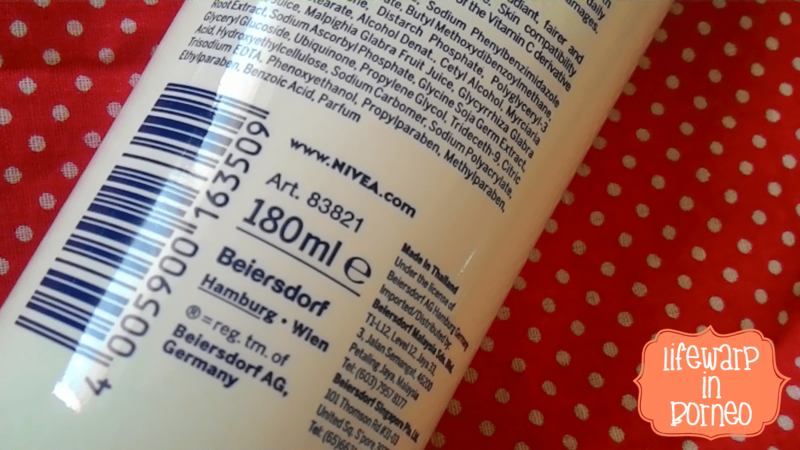 I bought a jumbo tube of NIVEA Anti-Age White Firming Body Serum SPF33 from a nearby Watsons outlet. The packaging comes with a flip top lid and easy squeezable tube. 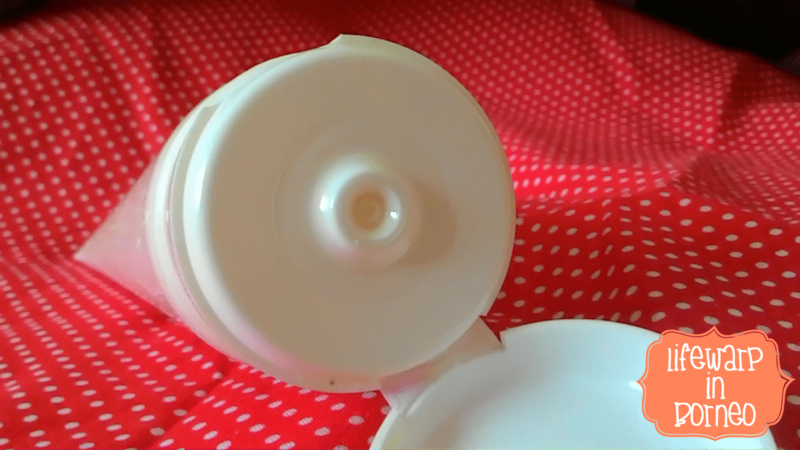 However, the lid should be closed tightly to prevent leakage. The body serum comes in a very light texture but it takes some times to have it fully absorbed into the skin. Unlike other serum which usually leaves sticky feeling and white residue, this serum does not leave any of them. Apart from that, NIVEA Anti-Age White Firming Body Serum SPF33 has a very faint scent, just like the other whitening and firming range. Due to its lightweight, and water-based formula, it’s not waterproof, so you need to reapply the serum if you washed your hand. The packaging comes with a flip top lid and easy squeezable tube. The result might differ but the result can be seen with constant application. My skin feels smooth all-day, and it also helps to reduce the appearance of my pigmentations as well as protect my skin from harmful UV. For best protection, I usually apply sunscreen/sunblock that has higher SPF. Since serum has higher concentration of active ingredients than lotion, thus, a fairer and firmer skin is noticeable within 14 days with religious use. However, it would be better to lock the serum with body butter or lotion. Lightweight texture but requires time to ensure it’s fully absorbed.